Governor general Patsy Reddy signed the bill as police said a gun buyback program will be announced. 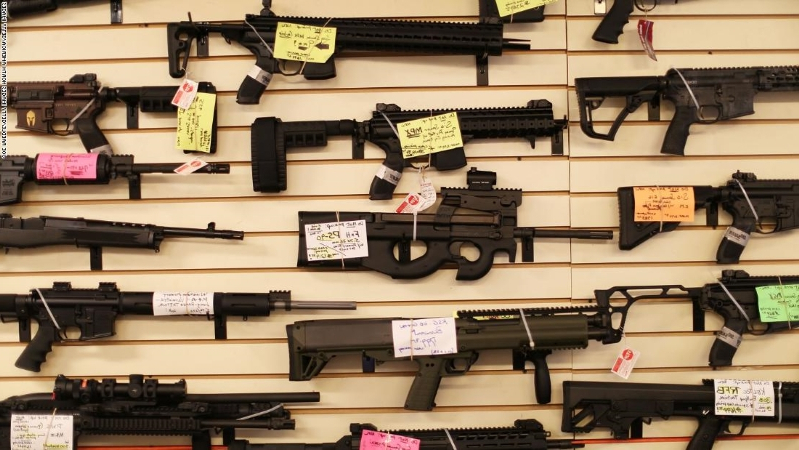 The weapons will be illegal starting at midnight, but police said a brief amnesty program will be in effect until details of the buyback are announced. Australian Brenton Harrison Tarrant, 28, was charged with 50 counts of murder and 39 counts of attempted murder. The royal commission set up to investigate issues surrounding the massacre is examining how he obtained a gun license in New Zealand and purchased weapons and ammunition. "I struggle to recall any single gunshot wounds," Ardern said. "In every case they spoke of multiple injuries, multiple debilitating injuries that deemed it impossible for them to recover in days, let alone weeks. They will carry disabilities for a lifetime, and that's before you consider the psychological impact. We are here for them." "I could not fathom how weapons that could cause such destruction and large-scale death could be obtained legally in this country," she said.